Utah’s largest and most iconic festival, Das Energi, is returning for another year with a lineup full of talent and surprises. NGHTMRE b2b Snails, What So Not, Chris Lake, Anna Lunoe, Rusko and many more complete this year’s bill alongside headliners Kaskade, Deadmau5, Dillon Francis and REZZ. New rising talent will take the stage as well, including Born Dirty, K?d and GG Magree. “Das Energi has always been a festival that honors the old styles of dance music, while welcoming in the freshest, upcoming sounds of today. We pride ourselves in bringing an all-encompassing, 100% dance music festival experience to Das Energi Festival every year,” commented V2 co-owners Jeremy Moreland & Brandon Fullmer. The full lineup is one of the festival’s best yet. 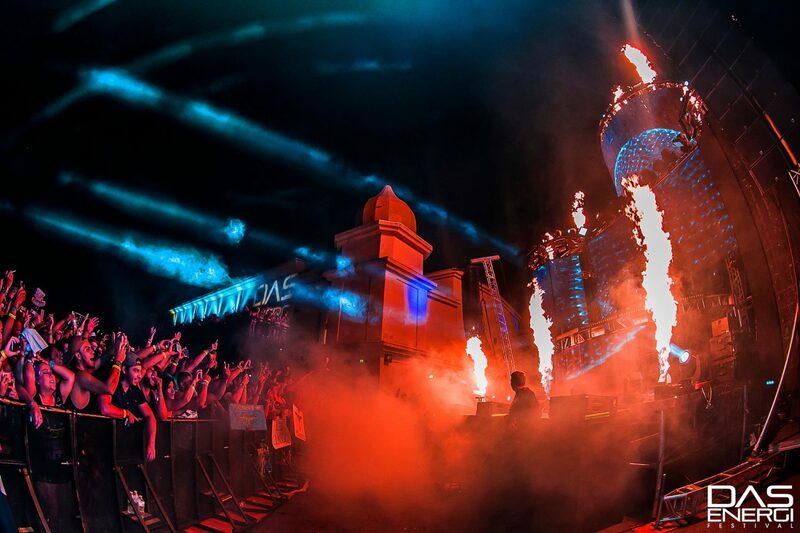 From dubstep to future bass and more, this festival will satisfy any music fan. In 2017, Das Energi Festival was voted as #1 music festival in Utah by City Weekly’s Reader Choice Awards and featured on the cover of DJ Times. 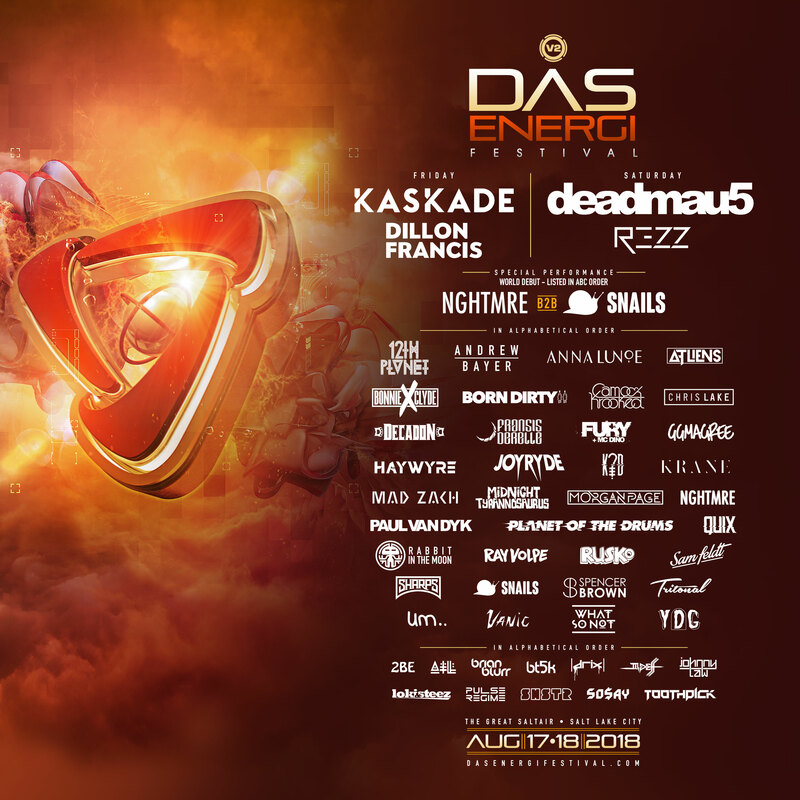 Das Energi 2018 will take place Friday and Saturday, August 17 & 18. Get tickets here.